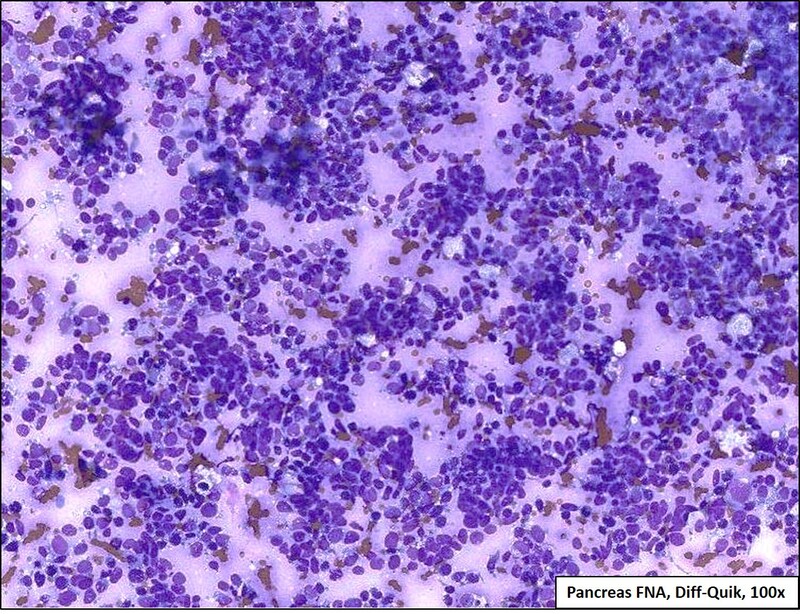 A 13 year old female presented to her primary care provider with new onset fatigue and an enlarging right forearm mass. 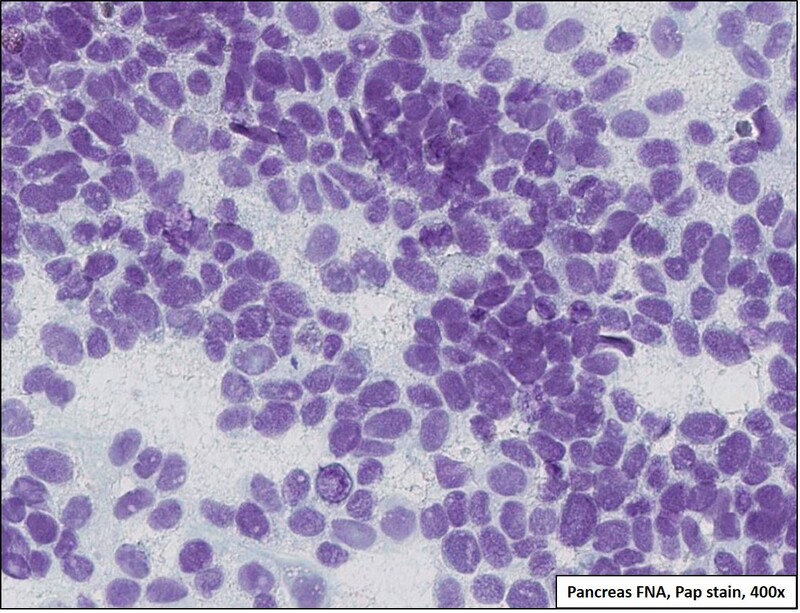 Complete blood count performed at that time revealed anemia and thrombocytopenia as well as circulating blasts. 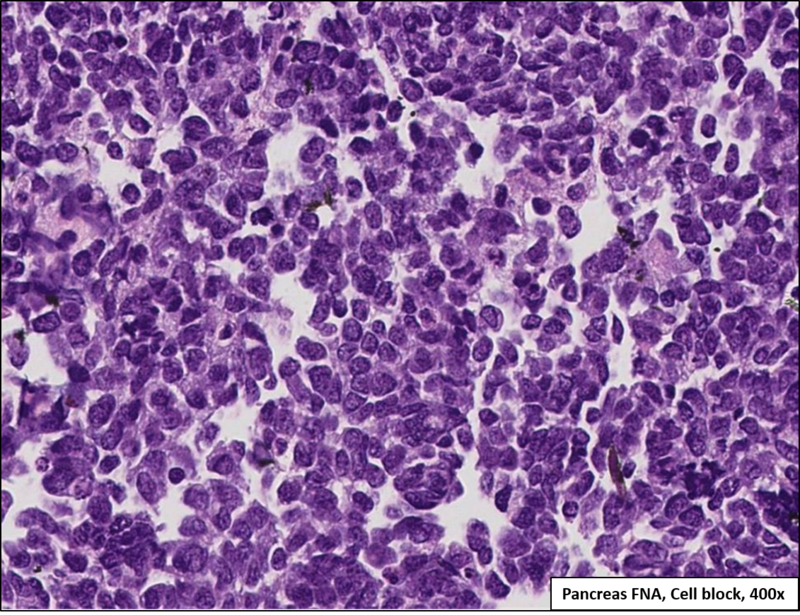 CT scan revealed a 3.5 cm pancreatic tail mass along with an enlarged right axillary lymph node. 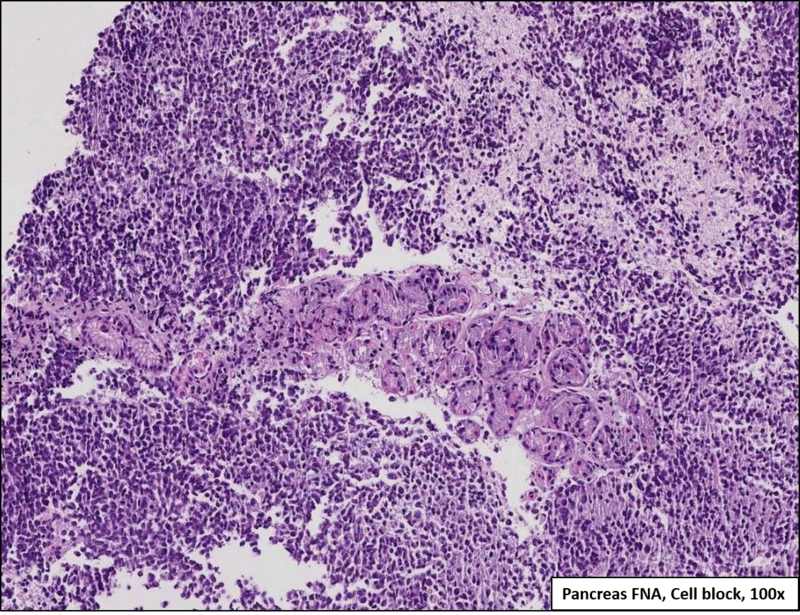 The differential diagnosis of the pancreatic mass by imaging included primary and metastatic neoplastic processes. 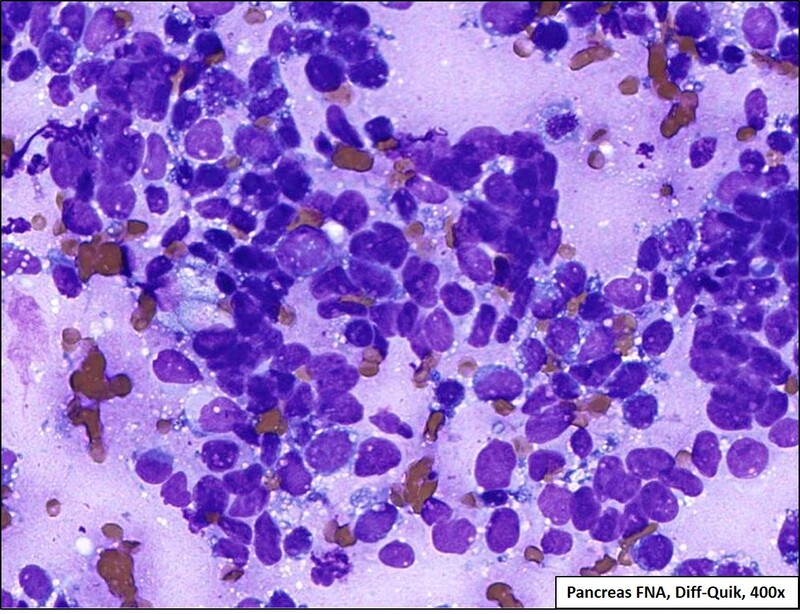 Core needle biopsy of the right forearm mass was performed followed by excisional biopsy of the enlarged axillary lymph node and endoscopic ultrasound-guided (EUS) fine needle aspiration of the pancreatic mass.